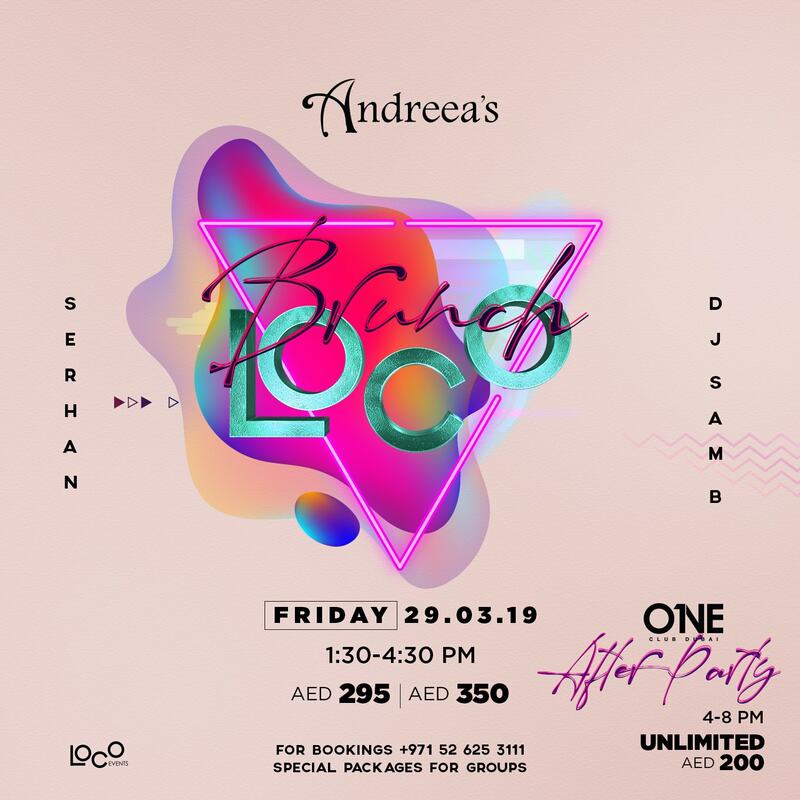 Join us at Andreea’s in welcoming Dubai to a brunch that will be your new weekly destination. Resident DJs Serhan & Sam B, gets the party going with Hip Hop and RnB tunes. Indulge in our brunch buffet and a la carte menu, offering a wide range of choices to compliment your brunch adventure. Brunch hours are from 130-430pm followed by an afterparty at ONE club from 4pm until late.